It’s been several days since TAF2009. 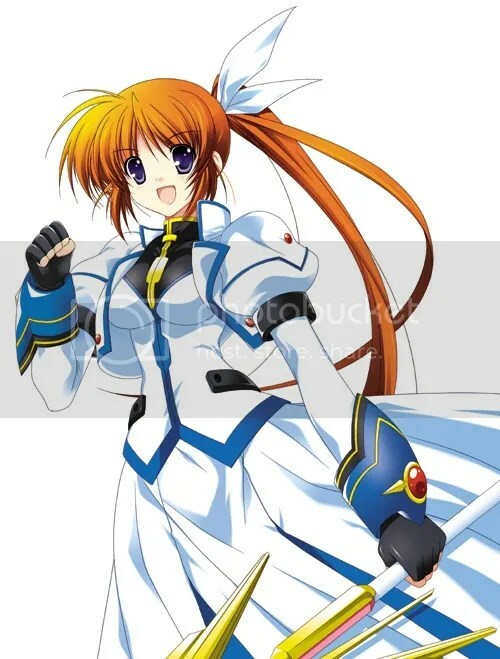 I’m not seeing many pictures/videos floating around the net with regards to the Mahou Shoujo Lyrical Nanoha MOVIE 1st Talk Show… Or am I just not looking hard enough? But I did manage to come across a script of what transpired at the talk show on a Japanese MSLN blog. Link found here. So apparently, the seiyuu involved all have the full script already. And I laughed at Yukarin’s complaint. Yukari: Will Nanoha get more screentime? Mishi: Did you not read the script!? Yukari: Even the rod/whip-wielding mother got an increase in lines! Mishi: That’s not true! Nanoha’s screentime is not being reduced. It won’t be reduced! Of course, keep in mind that 13 episodes worth of story is being turned into a movie, so we can’t help it if certain parts are being shortened. ^Image taken from Higa Yukari‘s blog (aka the artist for MSLN Force). Speculations were correct. It is Vivio-centric, taking place 4 years after StrikerS (when Vivio is a fourth grader). Hm… I’m curious as to what it’s going to be about. 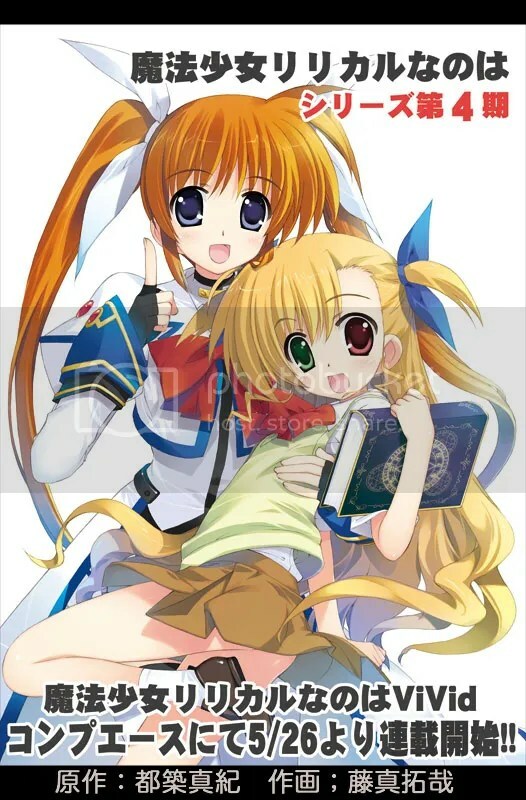 But why is Nanoha’s hairstyle back to the twin tail-style in the promotional art? :O She’s supposed to be around 23! News about this has been spreading like wildfire but I was too distracted to post about this yesterday. Although, I admit, it does feel a bit weird. At first, Nanoha and Fate are younger than me. Then they are the same age. And all of sudden they’re older. 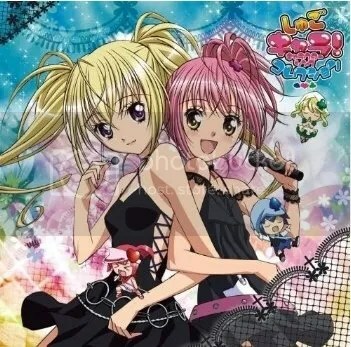 XD So basically, we have watched them go from 9 years old (original to A’s) to 15 years old (pre-StrikerS manga) to 19 years old (StrikerS) to 20 years old (Soundstage M3) to 23 years old (Soundstage X, though Fate, Nanoha and Hayate didn’t show up at all, just mentioned by the other characters) and soon, to 25 years old in MSLN Force.